Follow Vice President Gore around the globe as he tells a story of change in the making. He connects the dots of Zika, flooding, and other natural disasters we've lived through in the last 10+ years-and much more. The book also offers a comprehensive how-to guide on exactly how we can change the course of fate. 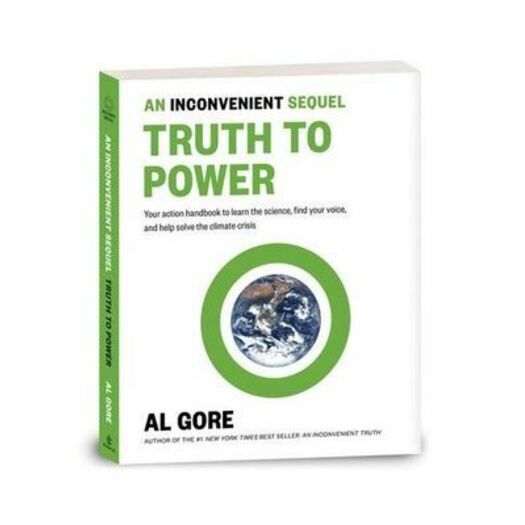 With concrete, actionable advice on topics ranging from how to run for office to how to talk to your children about climate change, An Inconvenient Sequel will empower you to make a difference-and lets you know how exactly to do it. Al Gore was the forty-fifth vice president. He is the co-founder and chairman of Generation Investment Management. He is also a senior partner at Kleiner Perkins Caufield & Byers, and a member of Apple, Inc.'s board of directors. Gore spends the majority of his time as chairman of The Climate Reality Project, a non-profit devoted to solving the Climate Crisis. Gore was elected to the U.S. House of Representatives in 1976, 1978, 1980, and 1982 and the U.S. Senate in 1984 and 1990. He was inaugurated as the forty-fifth Vice President of the United States on January 20, 1993, and served eight years. During the Administration, Gore was a central member of President Clinton's economic team. He served as President of the Senate, a Cabinet member, a member of the National Security Council, and as the leader of a wide range of Administration initiatives. He is the author of the bestsellers Earth in the Balance, An Inconvenient Truth, The Assault on Reason, and Our Choice.